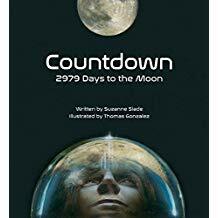 Details in verse the accomplishments of NASA and the Apollo missions during the 2979 days after President Kennedy’s speech that challenged America to have a man on the moon within 10 years. 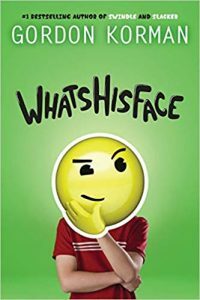 Cooper Vega befriends the ghost of a 16th-century boy, Roderick Northrop, through the use of his top-of-the-line smart phone, all while Cooper’s new 7th grade class prepares for a production of Romeo and Juliet. 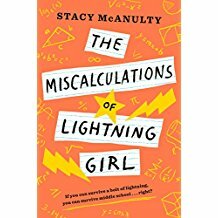 12-year old Lucy Callahan has been homeschooled since being struck by lightning (which causes her to be a genius at math). Before she is able to enter college, her grandma asks Lucy to finish one year of middle school, make one friend, join one organization, and read one book. During World War II, 12-year old Ken Sparks is one of the lucky 90 youth chosen to leave Britain on the ship SS City of Benares headed to seek refuge in Canada. 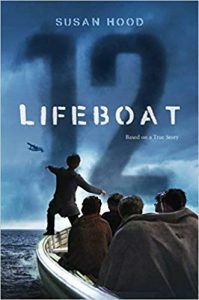 The same day the captain declares they are safe from German’s attacks, the ship is hit by a torpedo and Ben must survive on Lifeboat 12. 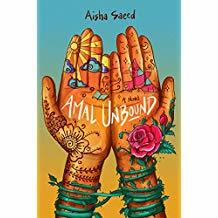 In Pakistan, Amal holds on to her dreams of becoming a teacher even after she misses school in order to stay home to help take care of her younger siblings and being forced to become an indentured servant to help pay off her family’s debt to the corrupt Khan family.